In the course of haymaking events, there’s always going to be some hay that gets put up wet, or at least wetter than what is acceptable for long-term storage of dry hay. “Feeding moldy hay to livestock is a tough decision,” says Bruce Anderson, extension forage specialist with the University of Nebraska (UN). “Although all hay contains some mold, when mold becomes easily noticeable the decision becomes more important,” he adds in a recent UN BeefWatch post. Moldy hay has several associated issues. It may be unpalatable, which reduces feed intake. Another potential problem is the possibility of mycotoxins, which are produced by some molds but not by others. Short of submitting a forage sample, there is simply no easy way of knowing if hay contains mycotoxins. Visual assessment of hay is not a conclusive method to confirm mycotoxins are present. It’s possible to have high mold levels with trace amounts of mycotoxins. Conversely, it’s also possible to see little visible mold and have mycotoxin levels that are off the charts. Anderson notes that the direct negative effects of moldy hay are difficult to document, but he acknowledges that horses are more sensitive than cattle. The forage specialist also points out that handling moldy hay can be hazardous for people, especially when working in enclosed structures. 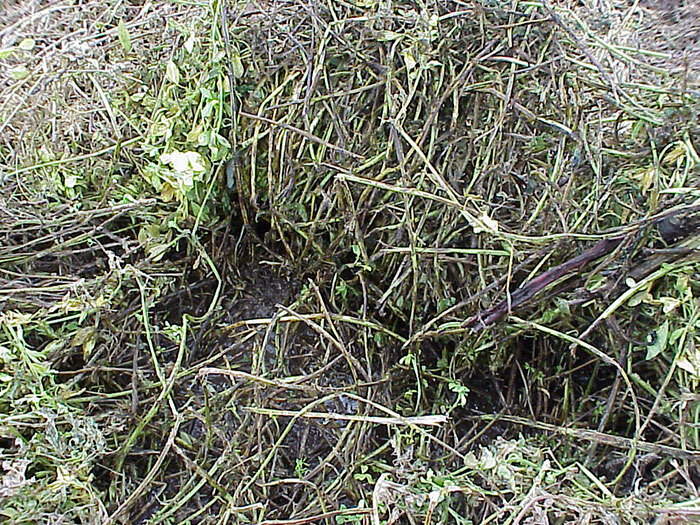 A livestock feeder’s best course of action is to minimize feeding moldy hay to sensitive animals such as horses or pregnant cows. Dilution of moldy hay with other feeds is sometimes done, but Anderson warns that this strategy can still cause problems if the hay contains compounds that will make them sick and impact performance.